Hello, everyone. It’s commonly believed that coatings and laminate films are barriers between a spray package metal or metal foil and your formula and that a barrier is needed to prevent corrosion of the metal or metal foil. However, coatings do not always prevent corrosion and are not always needed to prevent corrosion. For expediency, I’m going to collectively refer to coatings and laminate films as coatings. Consequently, complete metal surface coverage requires that a coating bonds to all materials in the list. 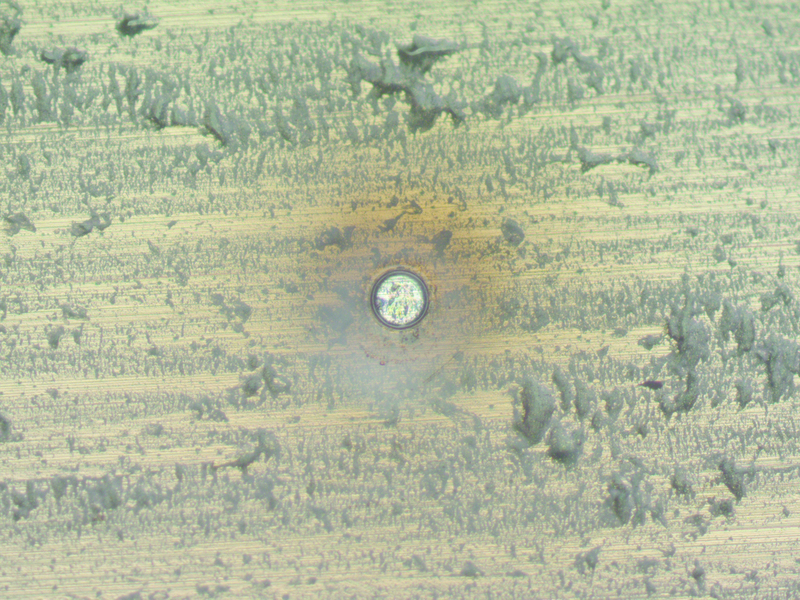 However, coatings do not always bond with all materials causing macroscopic coating defects such as the hole shown in Figure 1. It’s tempting to conclude that the hole in Figure 1 will cause pitting corrosion. However, coating-holes are very common and I’ve observed numerous instances where no pitting occurs in the holes or pitting corrosion occurs where there are no holes. Indeed, pitting corrosion only occurs in a hole when a large area of coating around the pit is also corroding. Another type of macroscopic coating defect is a solvent pop like the one in Figure 2. Notice that the solvent pop in Figure 2 is approximately five times larger than the hole in Figure 1. Solvent pops are common. For example, we observed at least one solvent pop in approximately 25% of the containers from a single manufacturing lot. The thin cap over a solvent pop is usually quickly removed after a package is filled. However, metal pitting corrosion or coating delamination in a solvent pop also needs to be surrounded by a large area of corroding coating. Coatings also have numerous internal microscopic defects that allow liquids to absorb into and accumulate in the bulk coating. Absorbed liquid could saturate the coating, degrade coating properties and cause the metal under the coating to corrode. The two most common defects in spray package coatings are pores and voids. Pores and voids are microscopic and difficult to observe. Indeed, coating voids are indirectly detected with analytical methods, such as positron annihilation spectroscopy. Figure 3 illustrates voids and pores in coatings. The dark blue lines in Figure 3 depict pores and the dark blue ovals depict voids. The three numbers in Figure 3 are labels for different types of internal defects. The first defect depicts a pore that eventually ends at a coating void. Liquid fills the void by capillary action and the chemical composition of the liquid could be either the same as, or significantly different from, your bulk formula composition. 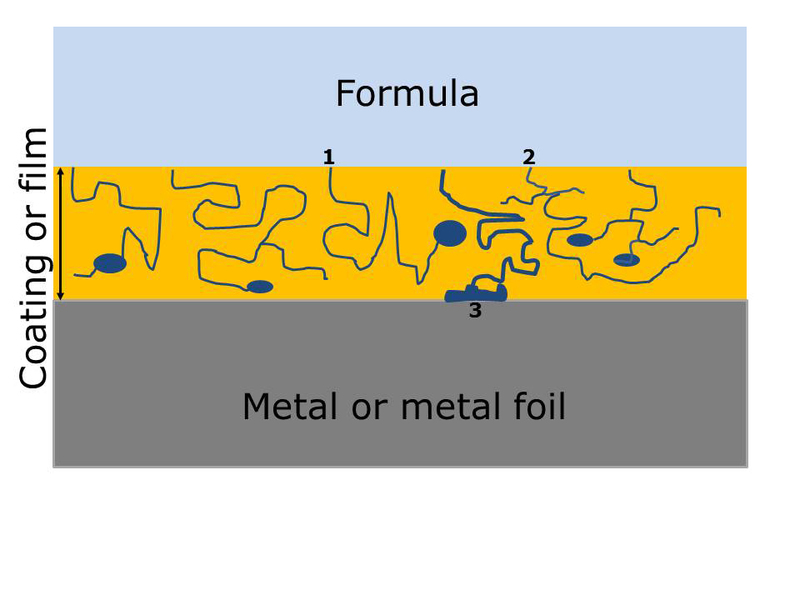 The second defect in Figure 3 illustrates how pores can meander throughout the coating without ending at a void. 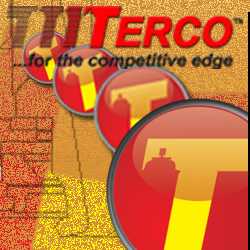 Both “defect one” and “defect two” typically cause coating corrosion with subsequent loss of barrier properties. 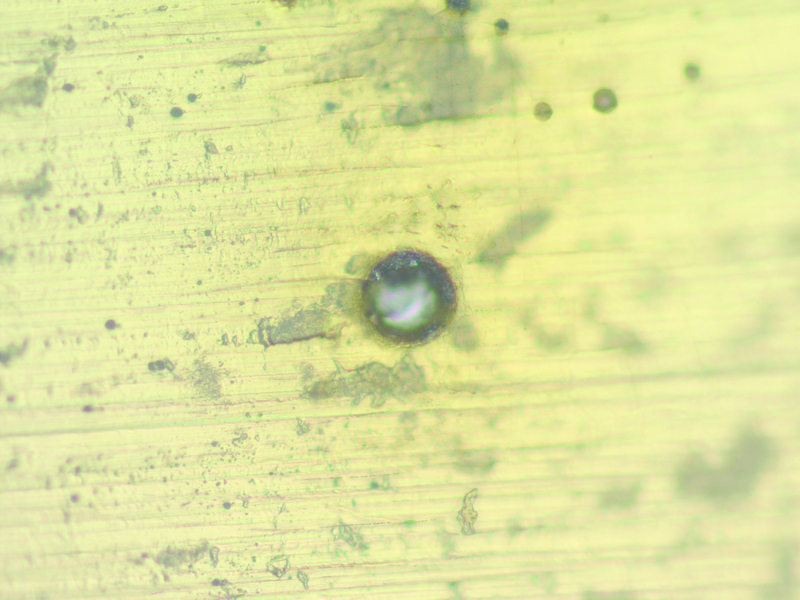 The third defect illustrates that pores could also end at the coating metal interface. Liquid accumulating at the interface could lead to metal corrosion and coating delamination, such as blisters. Liquid moving into and through pores also enlarge pores and create what I refer to as microscopic rivers. Microscopic rivers could lead to more extensive coating corrosion, more extensive loss of coating properties and corrosion of the metal substrate. The chemical composition of the microscopic rivers could be significantly different from the composition of your formula. Metal corrosion under the coating occurs when the liquid moving through the coating is corrosive toward the metal, sufficient liquid accumulates at the metal-coating interface or liquid continuously moves through the rivers in the volume needed to sustain metal corrosion. I’ve seen instances where coating and metal corrosion started and subsequently stopped because either metal corrosion products plugged the rivers or coating swelling by other pores closed-off the rivers (thus preventing the volume of liquid needed to support metal corrosion). The chemical composition of a formula, type of package metal and type of coating interact to determine how much liquid absorbs into the coating through pores, if the coating will corrode and lose its barrier properties and if the coating will protect the substrate metal from corrosion. Sensitive electrochemical measurement instruments detect and measure both the coating corrosion and the metal corrosion under the coating.